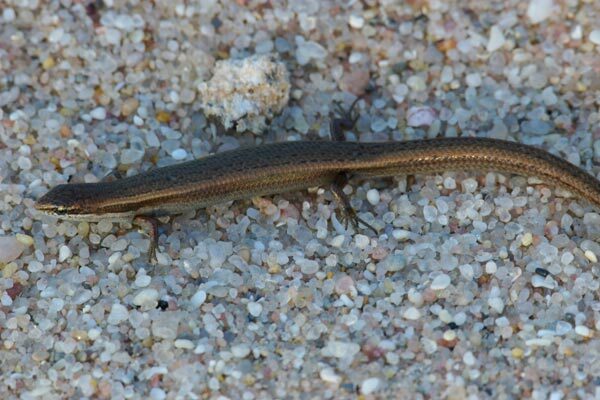 This tiny skink was prowling around under a fragment of artificial turf at Kalbarri's sporting oval. It was extremely quick-moving, and frantically wiggled back under cover several times before it finally stopped long enough for a few photos. This is considered an abundant and widespread species in Australia, but recent studies have shown that it's really an ill-described species complex, that includes some all-female parthenogenetic lineages. 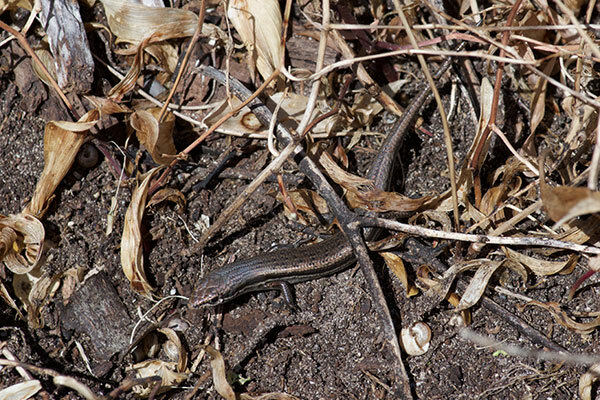 At least for now, the skinks like this on the southern coast of Australia are still considered to be the same species as the ones on the west coast. 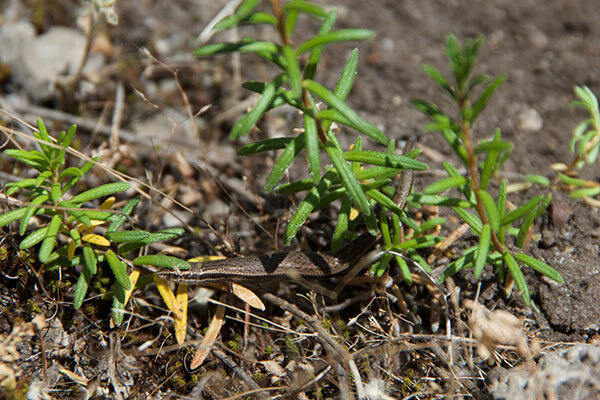 These skinks evaded my camera by digging around in the leaf litter and low vegetation, rather than by running away. It was very difficult to coax them out into the open for a photo.